Guacamelee is the next game from Drinkbox Studios, the folks behind Tales from Space: Mutant Blobs Attack. This action title is coming exclusively, at least at first, to the PlayStation 3 and PS Vita. It features CrossPlay and CrossSave functionality. If we had to hazard a guess, we’d say that it might also be announced as part of Sony’s CrossBuy offering; buy it on one system and you’ll have it on the other. We had a chance to sit down with Chris McQuinn, Designer from Drinkbox Studios, and play the game whilst chatting during PAX East. 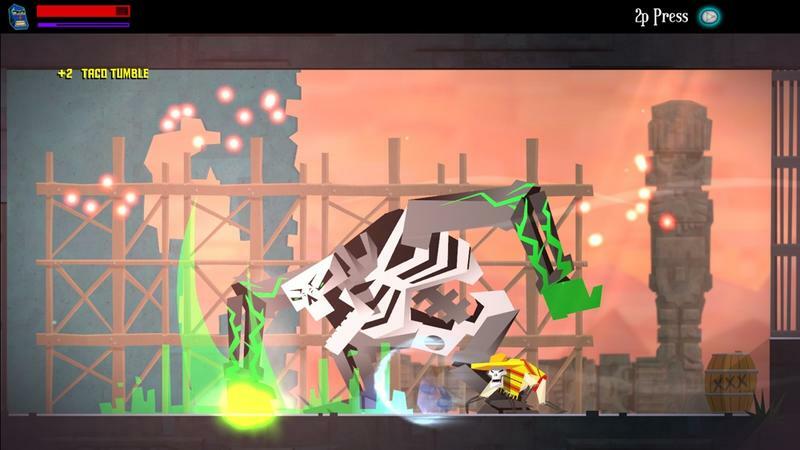 When it comes to the play of Guacamelee, what we saw felt exceptionally familiar. This is a 2D side scrolling brawler that tasks players with moving from room to room whilst platforming and flipping between dimensions (we’ll touch on that more in a bit). All of the combat and movement that happens in the game feels exceptionally familiar to the genre. Punching is a little button-mashing-esque at first, but there’s a combo system that can be learned over time. You’ll be able to juggle enemies in air, grab them and hurl them at other foes in order to inflict even more damage. There are upgrades, too. You’ll be able to purchase new moves and abilities as time moves forward and you progress through the campaign. Again, all of this stuff feels rather rote for the action genre that Guacamelee falls into. It’s all done very well, and it feels super smooth and fluid, but it’s ground we’ve tread elsewhere. Where Drinkbox breaks the mold and dives into fresh waters is the style and setting. 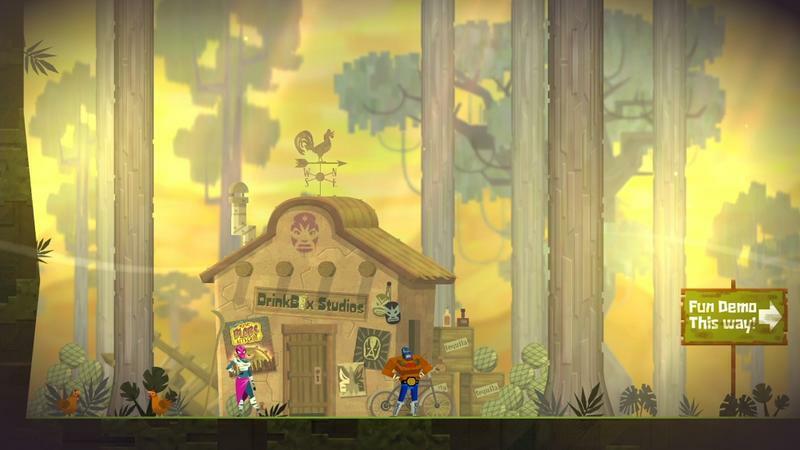 Guacamelee takes place in a mythical version of Mexico. You play a luchador with special powers. You can turn into a chicken and hop between dimensions in order to fight specific foes or access other areas in each game. You have a mystical goat man for a mentor, and you find yourself facing off against bizarre dragon monsters and walking skeletons. All of it goes down below this really nice, cartoony look that lends an even cooler layer of style to the action. What we saw of Drinkbox’s next effort looked brilliant. For PS Vita owners, it feels like a must-buy, and it should stand up as one of the best titles on the system. It sports local co-op, if couch play with friends is up your alley. The price point and specific launch date should be announced this coming Monday. We’ll have the news as it comes.